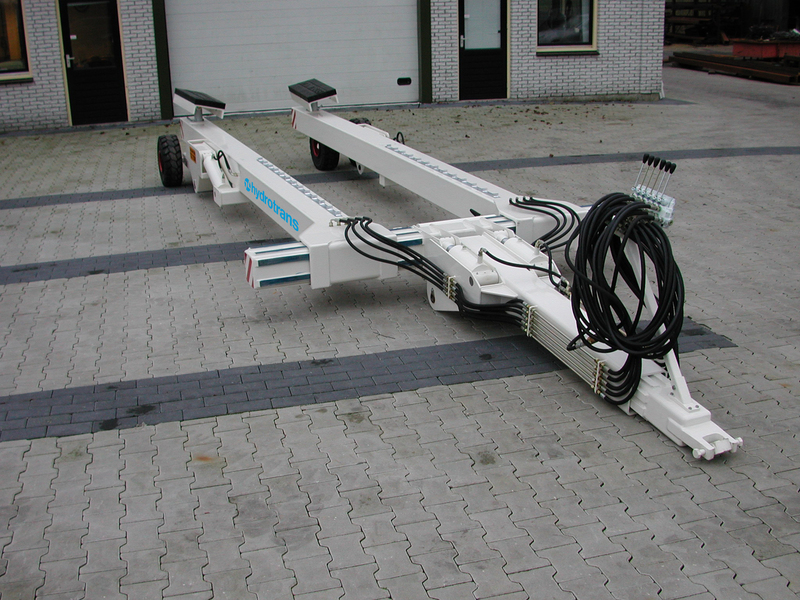 The Hydrotrans hydraulic slipwaytrailer is designed to launch and recover boats on a slipway, transport the boats over land and park them in a storage area. 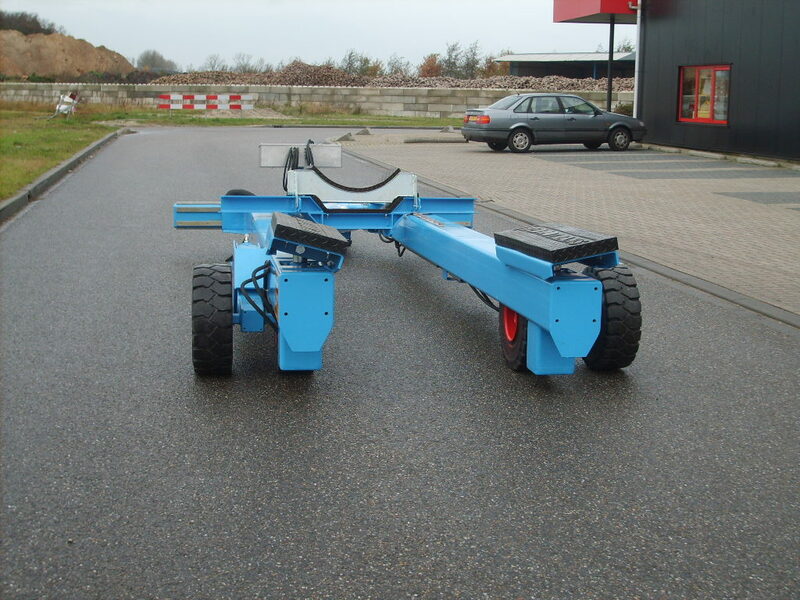 The Hydrotrans SW10 can be pulled by a reach truck or a agricultural tractor. It uses the hydraulic facility of the pulling device for all the hydraulic functions. The boat is lifted by 4 hydraulic pads with soft pads on them to avoid damaging the hull. The front of the boat is supported by the crossbeam with also a soft pad on it to avoid damage. For sailboats a adaptor is available. 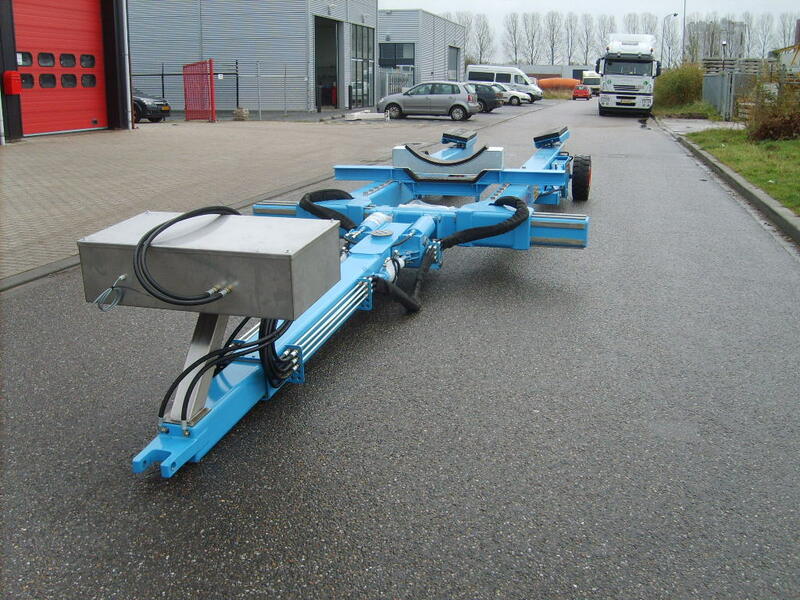 The width of the trailer frame and the height are hydraulic adjustable. The pads and drawbar are manually or hydraulic adjustable. 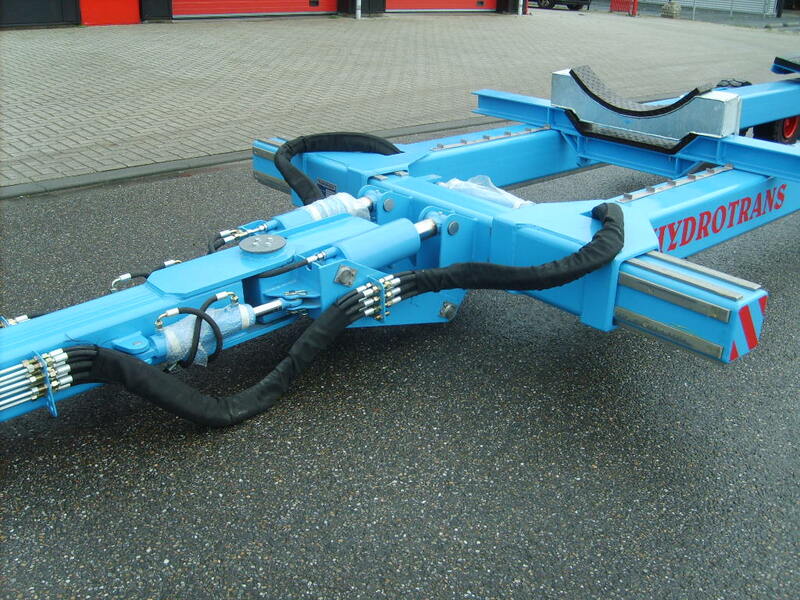 The Hydrotrans SW10 is also suitable for transporting boats on T-cradle’s. Because off the solid (with comfort) or air tires the SW10 offers optimal comfort through any terrain capable of carrying the load. A further advantage of the SW10 is that not every boat needs to be placed on a cradle. Many boats can be placed on studs. This offers you a chance to save a lot off money on storage material.